The given research-methodic manual examines in detail the social-economic development of Russia, the history of public administration, social thinking, foreign policy etc., in the context of the reign of Alexander I and Nicholas I. In this context the correlation between the mentioned processes and the personal characteristics of the two emperors is traced. 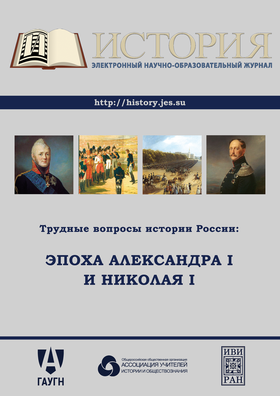 From the historiographical point of view the manual's author analyses how Alexander and Nicholas were estimated in different periods, and which aspects of their activity drew historians’ attention more than others. The manual also contains a large list of literature and sources, which may be useful for a reader for a deeper studying of the subject, and methodic exercises for school lessons.